AFP/TBR - The revisionist community was pessimistic concerning the upcoming appeal of Mr. David Irving to be heard on December 20 in Vienna. The only person I know who was optimistic about the appeal was Dr. Herbert Schaller, Irving's new attorney. Mr. Irving was arrested and kept in jail since November 11, 2005, in Vienna. His appeal was delayed and finally he was released on December 21, 2006. At his original trial (on February 20, 2006) Irving received a three-year sentence and there is every indication that his attorney at the time Dr. Elmar Kresbach (Schottengasse 4, 1010 Vienna, Tel. : 43-1-533 26 90, Fax: 43-1-533 27 90) prospered the case of the government, instead of properly defending Irving. After arriving in Vienna in the Krokodil, the closed prison van, from Graz--Jakomini jail, Mr Irving was stormed by lawyers; he initially selected Dr Herbert Schaller, (at right), a veteran who had defended him in the 1980s and 1990s in Germany. Before he could return to his cell, the young, stylish Dr Elmar Kresbach intercepted him and persuaded him to release Schaller and hire him instead ("I am a man with the media contacts you need") -- "One of the biggest mistakes of my life," says Irving now. that the historian would be released on the day of the trial. When that day came however Kresbach, who had prepared no speech and carried no papers with him into the courtroom, Austria's biggest, made no attempt to defend his client other than a brief, waffled, discussion on the law which went clean over the jury's heads (seven of the eight were stone-faced middle aged housewives). Dr Schaller sat in the public gallery, aghast at Kresbach's bumbling performance. After the sentencing of David Irving the courtroom, packed with representatives of the international media, erupted in a spontaneous celebration. Kresbach became the instant darling and focus of attention. "I think the three years sentence for Mr. Irving was too long. I think that two years would have been the proper sentence." In press interviews he described Mr Irving as old, worn out, defeated, beaten. The trial was a mockery of justice, where Irving in fact had no effective legal representation. THE written judgment was received a month after the February 20 sentence. Appeal papers had to be filed by April 22. On the Thursday before Easter, Kresbach admitted he had done nothing to prepare the appeal, telling Mr Irving as an afterthought, "My assistant is starting work on that this afternoon." The prisoner pointed out that next day was Good Friday, then the Easter weekend, and the papers had to be filed by Thursday morning: "You're fired." He had already re-hired Dr Herbert Schaller to replace the feckless Kresbach; the veteran lawyer worked throughout Easter and produced the appeal document in time. In the prison exercise yard Mr Irving met several other prisoners similarly unhappy with their costly attorney Kresbach's performance. His office was apparently in chaos. Monetary contributions, costly birthday gifts from family and friends, and letters handed over to him never made the last few yards to Irving or his outside representatives (these objects are still missing). Irving sent two letters to Kresbach, and finally an ultimatum to forward his property to him. It never came. Irving eventually lodged two formal complaints with the Rechtanwaltskammer in Wien, the attorneys' professional body in Vienna, who are investigating his complaints. Maybe it is no accident that Der Spiegel, the leading German language news magazine, called Dr. Kresbach a "mafia lawyer" before the trial. Dr. Schaller prepared a very detailed appeal, pointing to the serious shortcomings of the defense at the original trial; in a December 26, 2006 interview with Dr. Schaller in Vienna he repeated that "Irving had no real defense at his February trial." The appeal he formulated questioned whether Irving was guilty at all and it also challenged the length of the sentence (three years). At the time (1989) when Irving committed his alleged "crime" there was only a very vague, generalized law on the statute books, and it did not mention "Holocaust denial". This law dated back to 1945 and was written while Austria was still under Soviet Russian occupation. Later, in 1992, three years after the Irving speeches, a new law was created and incorporated into the Austrian Constitution, specifying "Holocaust denial" as a crime (namely committed by "whoever denies, grossly plays down, approves or tries to excuse the National Socialist genocide or other National Socialist crimes against humanity in a print publication, in broadcast or other media"). The law calls for a prison term of up to ten years, and a later version of the law allows sentences of five to twenty years and even life imprisonment for repeat offenders. Before his 1989 trip to Austria, David Irving's attorney had actually contacted the Ministry of Internal Affairs of Austria, and specified his intended topics and itinerary. (The contact was established through Dr. Schaller, his present attorney). The Austrian authority cleared Mr Irving's intentions including, as one item, the discussion of the "Holocaust" in the light of The Leuchter Report and the latest independent research. BY mutual agreement, the police posted an official at each lecture, who reported that Mr Irving had not broken the law. Kresbach never even brought this curious issue to the attention of the eight member jury at the trial. Under Austrian law the defense attorney had the opportunity to ask the jury if in their opinion the defendant did or did not violate the law knowingly. Dr. Kresbach missed out on this major opportunity to demonstrate the innocence of his English client, hardly a "mistake" that a seasoned defense attorney would normally make. By law, Dr Schaller could not however challenge the conviction of the Jury in his appeal to the Austrian Supreme Court (OGH) because the above question was not put to the jury by Kresbach as defense attorney or by the Presiding Judge. Regardless, in Dr. Schaller's opinion the Supreme Court of Austria is in error in their decision because the three judges who tried Irving had full knowledge of the fact that Irving contacted the Ministry of Internal affairs about his planned activity in 1989. It was in the "court file." Kresbach and the judges also systematically misled the jury members when they kept repeating that Irving "denied the Holocaust" in many countries over the next twenty years. Even if Irving did that, -- and he did not -- he was operating in foreign countries outside the jurisdiction of Austria. AS a result of this latest appeal court's decision Irving will not be permitted to visit Austria for at least ten years and he will have to live with a conviction and a twelve-month suspended sentence; this is perhaps not a real problem in England or the USA, as it is classified as a purely political ("media") crime, not a real offence. In the opinion of Dr. Schaller the appeal hearing of December 20 was perhaps delayed to prevent Mr Irving from attending the recent Holocaust Conference held in Iran on December 11. (In fact he was not invited, and would not, he says, have attended). Dr. Schaller does not believe that either the large-scale publicity or public opinion played any role either way in the release of Mr. Irving. 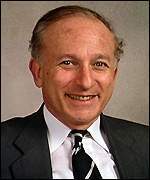 It is very interesting to note that in the opinion of Dr. Schaller, who is also involved in the defense of Ernst Zündel and Germar Rudolf in Germany, the German authorities have initiated about 10,000 cases in a single year for the various "crimes" of "Holocaust denial", different expressions of nationalism, illegal use of second war symbols, and other verbal and written expressions and publications of political incorrectness. It seems that the German State carries out a secret war against her own citizens, based on the prior models provided by the communist countries, pre 1989. The international and Austrian media were shell-shocked by Mr Irving's triumph at the appeal hearing and the presiding judge, Ernst Maurer was immediately subjected to vicious personal attacks (of the kind that would constitute a serious contempt of court in England). The Austrian media reported hours after the appeal hearing that the prosecution lawyers could attempt to file new charges within days based on the BBC and press interviews that Irving gave in February from his prison cell. Irving welcomed his release and declared that he was "fit and well." "I was put in prison for three years for expressing an opinion seventeen years ago," he said. Even then the Austrian authorities did not allow him to leave on his own, they kept him under arrest for one more day until they could put him on a flight to London on the evening of December 21; while Austria pays the fare of every Black drug dealer who is deported, they made Mr Irving pay over one thousand dollars for his one-way ticket back to London. At a big press conference after his return to London he announced that he is calling for an "academic boycott against German and Austrian historians until their governments stop putting historians in prison". Efraim Zuroff, the head of Jerusalem's Simon Wiesenthal Center stated that the court's decision would "only encourage and strengthen the 'Holocaust deniers' throughout the world". He also stated to Reuters: "If you have such a law then, for God's sake, just stick to it." "I am sorry that he did not serve out his full term, and I hope he will remain in Austria and not return to the United Kingdom, where he will not be welcome." (Janner, left, is an immigrant, Mr Irving's family have lived in England for centuries).